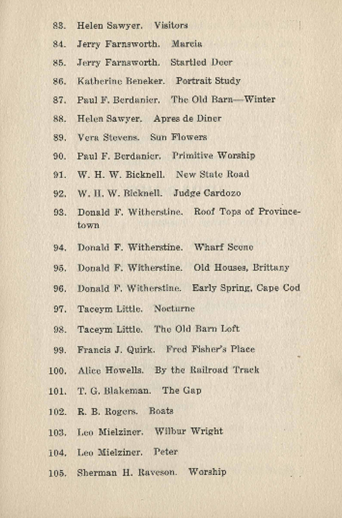 In our ongoing quest to learn more about Francis J. Quirk and his artwork, we cane across his name in an exhibition catalog of the Provincetown Art Association from 1932. 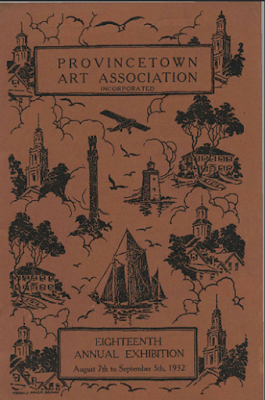 The Provincetown Art Association and Museum (PAAM) was established in 1914 by prominent artists Charles Hawthorne, Oscar Gieberich, William Halsall, Gerrit Beneker, E. Ambrose Webster and several local business men and women. The donation of works by the organizing artists and two juried exhibitions mounted in the summer of 1915 began PAAM’s traditions of collecting and exhibiting the work of the local community of artists. By then, the art community at the tip of Cape Cod had become the refuge of artists and expatriates returned from war-torn Europe, and Provincetown was firmly established as “The Biggest Art Colony in the World” (Boston Globe, 8/8/1916). PAAM consolidated its role as the anchor of that colony through the purchase and refurbishing of its present building in 1919. At this time, young Francis was turning 25 and seeking to make his mark in the art world after his graduation from the Rhode Island School of Design. The times must have been tough as the great depression was in full swing following the stock market crash of 1929. This was a turbulent time for the art world and Provincetown was caught up in the moiling change with the emergence of the modernist movement. In the ’20s and ’30s, the philosophical wars being waged throughout the art world were also fought within the Association. Its artist founders had come out of the Impressionist tradition, and although a variety of styles had been represented in members’ exhibitions since the inception, PAAM’s “establishment” did not readily incorporate the contemporary modernist movement. Faced with aesthetic differences among its artist membership, PAAM maintained a balance. True to its mission, the organization represented both sides of the artistic argument, mounting separate “Modern” and “Regular” summer exhibitions between 1927 and 1937. Still, the conciliation reached in 1937 was only partial; instead of separate exhibitions, separate juries installed concurrent exhibitions on opposite gallery walls, with a coin-flip deciding that the modernists’ work hung on the left. Throughout this period, much of the artistic argument took place in forums and discussions organized at PAAM by one side or the other. Page with listing of Francis J. Quirk's painting. Painting number 99 is listed as "Fred Fisher's Place". We have not yet been able to find out more about the work. A search for Fred Fisher in Provincetown identified a gentleman by that name born in 1866. There also was a man of the same name active in the town earlier that century. He designed two cold storage plants and was married to Sarah Fisher who was one of the founders of the town's Universalist Church, which was built in 1847. 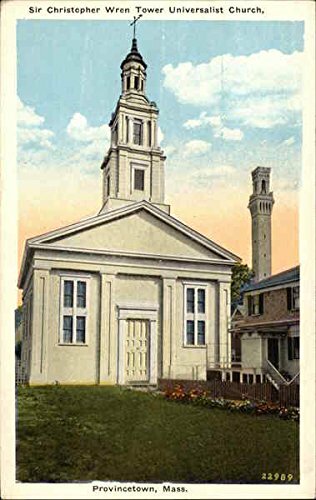 Provincetown's Universalist Church was built in in1847. We have now found several references to paintings by Francis Quirk, but do not have images to match. We can only wonder what became of them. Do they hang in a cherished place? Or are they forgotten in some old barn waiting to be discovered? We will keep on looking.